Hey my lovely ladies and gentlemen! 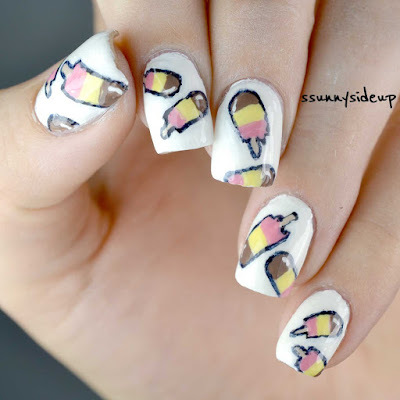 Today I have something very special for you: a super cute ice cream design on my nails. What else would you aim for in summer? You can find all the details at Robin's blog today. I had the honor to write a guest post for her. So head over to her blog and learn more - click here and you're directly there. You made a fantastic and fun looking nail art! I saw these! How adorable!